With all of these things going on, it’s very easy to let your fitness fall to the wayside while you power through but you can only do that for so long. Your health is the most important thing and without it, you will not be able to perform your best. During the day, you’ll alternate between a phase of eating and not eating (fasted). There are many different protocols for IF, the most common one being 16/8, where you fast for 16 hours and eat your meals within an 8 hour time window. This allows you to have 2-3 meals during the day, with a bulk of the calories coming around night time. By being in a short restricted eating window, you’ll end up in a caloric deficit, which helps you lose fat. IF is also a convenient method because it provides you structure and yet more flexibility in your eating schedule. Not only that, there are many health benefits to fasting, such as improved brain health, mental focus, productivity, and insulin sensitivity. Many of my busy clients have implemented a form of IF into their lifestyle and have great success with it. Intermittent fasting isn’t a magic diet, no diets are. But if you’re busy and always on the go, it can be the perfect strategy for you. Now for each of the two meals as shown above, you want to prioritize lean protein. Eating protein helps you build and maintain your muscle, improve your metabolism, and makes you feel full longer. For men, have at least two palm sizes full of protein. For women, have at least one palm size. Along with lean protein, you want to have at least one serving size of vegetables with it. Whether it’s broccoli, spinach, Brussels sprouts, or cauliflower, eat at least a palm size. Eating your veggies ensures that you get all the vitamins, minerals and other nutrients along with fiber. Besides the physical benefits of exercise, it has many other mental benefits as well. It improves your mood, brain function, focus, and mental clarity. You don’t need to spend hours at the gym in order to get fit and stay fit. In fact, you can maintain and improve your fitness with just 20-30 minute workouts. It’s better to be having more frequent, yet shorter workouts throughout the week over 2-3 longer ones. This is because your muscles get stimulated more and you are able to improve more often with each workout. By training more frequently, you are building the habit of being physically active and getting the mental boost that you need to conquer your day. If you haven’t been working out much lately, short, frequent workouts are ideal for you because you can get active and not overdo it in your first couple of training sessions. Perform A1, then A2 back to back with no rest. Perform all sets and reps before moving onto B1 and B2. Perform B1, then B2 back to back with no rest. Perform all sets and reps before moving onto C1 and C2. Perform C1, then C2 back to back with no rest. Perform A1, A2, A3, A4, A5 back to back, resting 5 seconds between exercises, and 45 seconds between sets. Aim for 3-4 sets of the circuit. Getting fit and staying fit can be hard especially as a busy working professional trying to be a leader day in and day out. However, by implementing these two simple strategies, you can perform your best while improving your health and fitness. 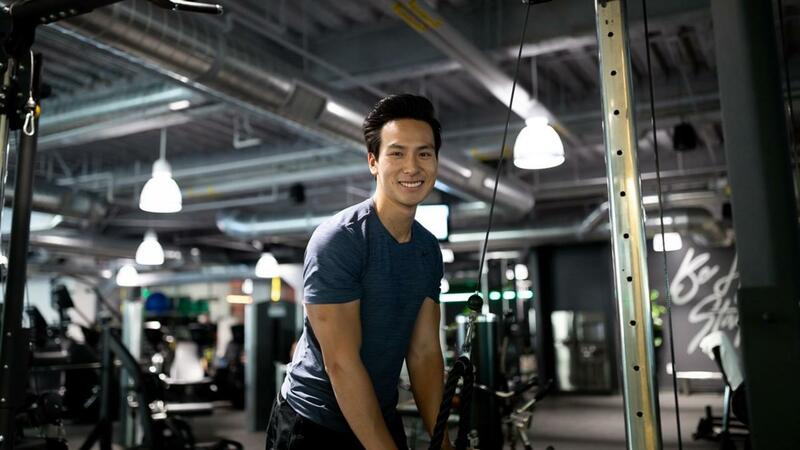 Tim Liu is an LA-based personal trainer who helps busy men and women lose fat and build muscle without having to live in the gym or give up their favorite foods and drinks. You can find more information about Tim on his website, www.timliufitness.com.